Hemerocallis Stella de Oro at one time was the Day Lily of choice. The low stature and beautiful flowers are a big factor. There are other daylily choices that perform better at the coast. Hemerocallis Stella de Oro blooms most heavily in the Summer but will often be blooming much of the Spring and Fall as well. Daylilies bloom best in full sun. While they tolerate garden watering they will do quite well on in a drought tolerant garden once established. I have had to maintain plants in the shade of a building. Hemerocallis Stella de Oro will get thin and straggly in the shad and won't bloom much. Hemerocallis Stella de Oro will go completely dormant in the Winter if the garden is away from the coast. I often treat the daylilies the same at the coast and shear them to the ground. They come back and look much better for the haircut. 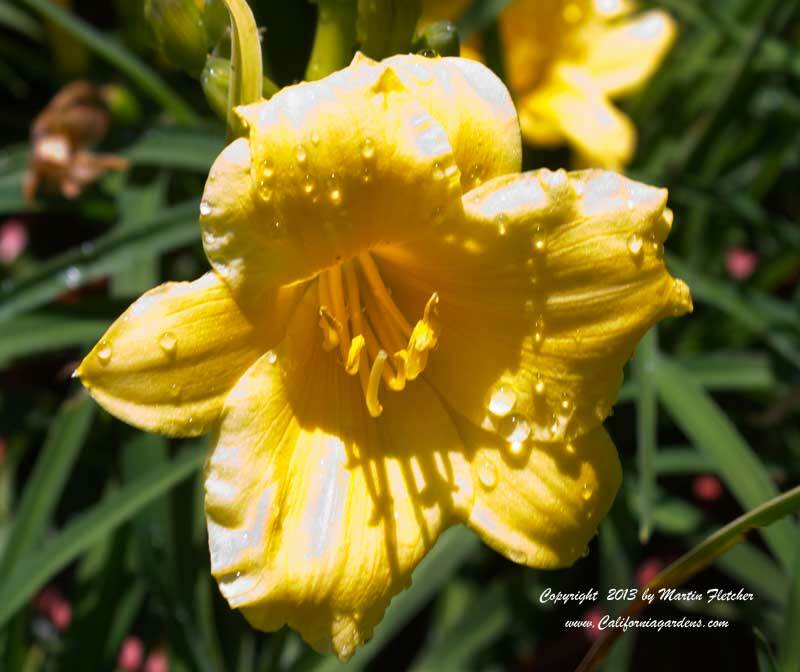 Yellow flowers of Hemerocallis Stella de Oro - Dwarf Daylily. High resolution photos are part of our garden image collection.